When Jonathan Harker is summoned to Transylvania to finalize a property deal for the mysterious Count Dracula, he stumbles upon an ancient evil he is unprepared to face. When that evil escapes to England, the entire nation is suddenly under threat and only an aged vampire hunter, Professor Abraham Van Helsing, can put a stop to the bloodshed. 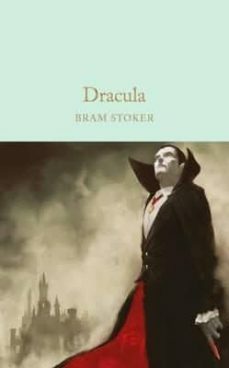 Sensual, dark and thrilling, Bram Stoker's Dracula remains the seminal work of Gothic fiction, and in this elegant Macmillan Collector's Library edition, which includes an illuminating afterword by Jonty Claypole, readers can experience the horror and excitement as never before. Designed to appeal to the booklover, the Macmillan Collector's Library is a series of beautiful gift editions of much loved classic titles. Macmillan Collector's Library are books to love and treasure.